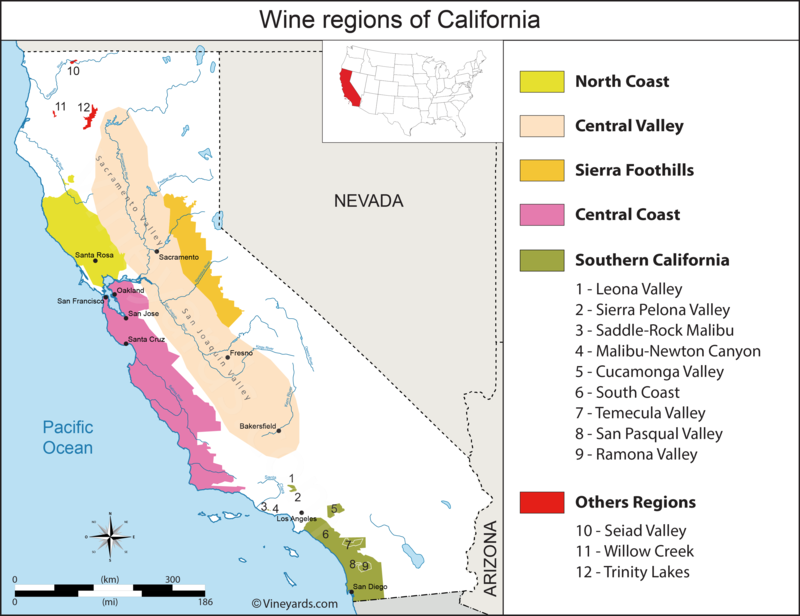 Map of the US vineyards: 420 000 hectares in different Wine Regions and AVAs (American Viticultural Areas). 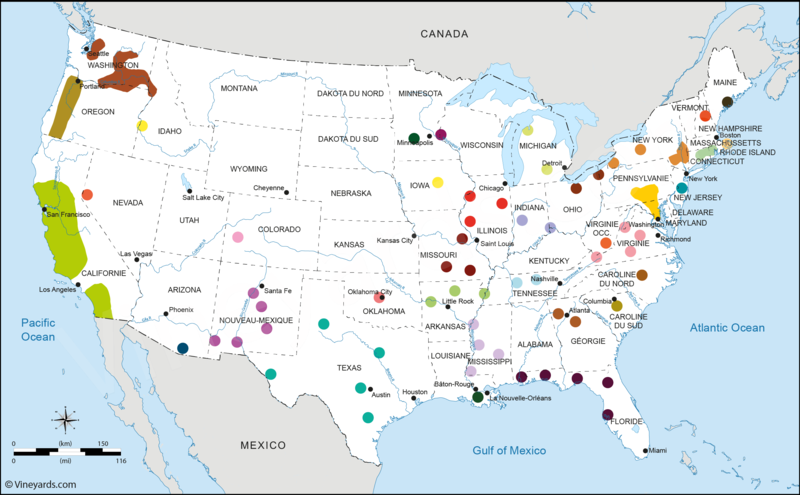 Today wine is produced in all 50 US states with vines planted in more than 30 states. 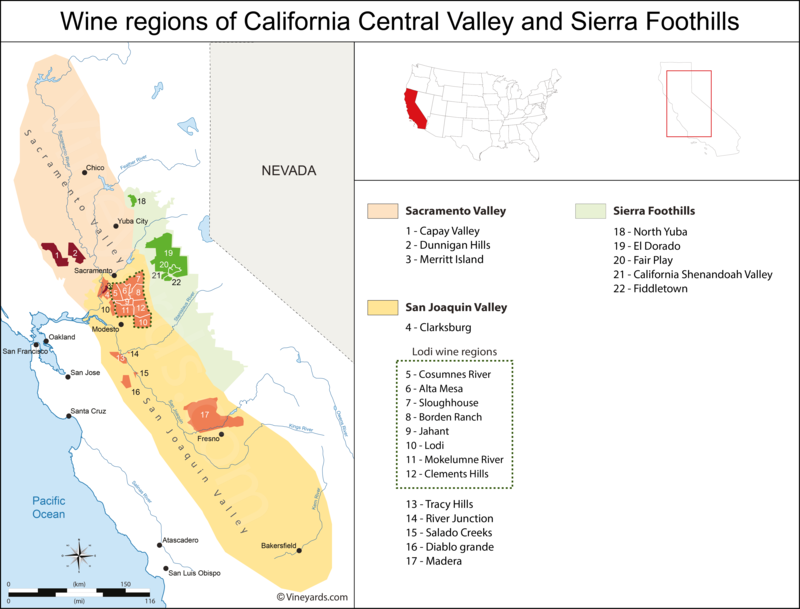 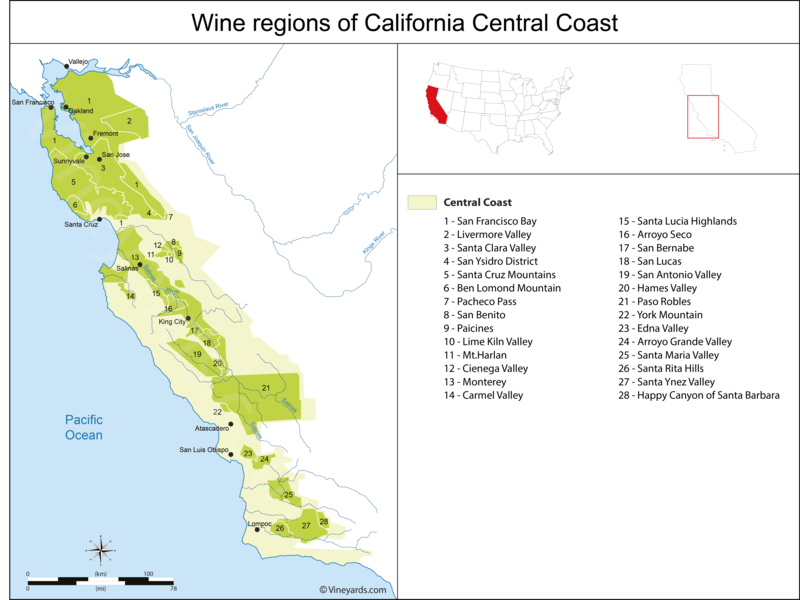 The wine regions and vineyards of the North Coast, Central Coast, Sacramento and San Joaquin Valleys, Southern California and Sierra Foothills. 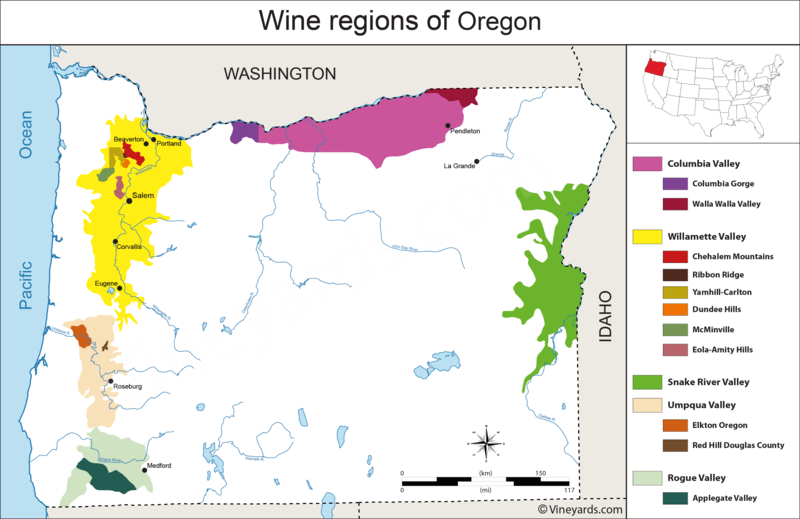 The wine regions of Oregon with famous American Viticultural Areas like Willamette Valley, Southern Oregon, Umpqua Valley, Rogue Valley and part of Columbia Valley. 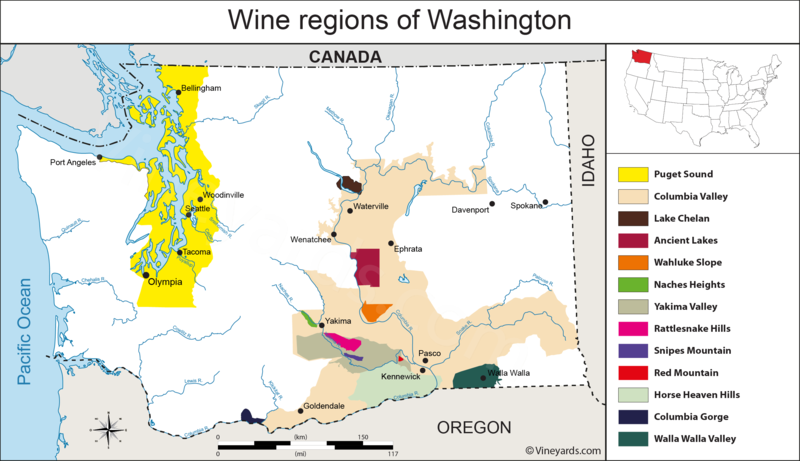 The vineyards of Washington State with American Viticultural Areas, AVAs, like Columbia Valley AVA, Walla Walla Valley, Red Mountain, Ancient Lakes, Horse Heaven, Yakima Valley, , Wahluke Slope, Snipes Mountain, Rattlesnake Hills and to the west, Naches Heights and still west the Puget Sound AVA.